It’s hard to believe that the school year is behind us and the next week or so will be filled with graduation ceremonies at our local Jewish schools as well as area public and private schools. Next week’s TJP will have a nice graduation section. If you’d like your child’s name included, please e-mail me at sharonw@texasjewishpost.com by Sunday, June 3. Please be sure to include: the child’s name, parents’ names, school, plans for next year and a photo in jpeg format if you wish. Mazel tov in advance to all of you on your accomplishments and I hope to see you next week in the TJP. Shir Tikvah of Frisco’s STARS religious school program celebrated a year of success helping various agencies in the city, according to its leaders. The STARS — the religious school at Shir Tikvah in Frisco — celebrate collecting hundreds of clothing items for Frisco Family Services. The STARS program kicked off the year with “Blast Into Summer,” in which families donated water toys, sunscreen, and bubble items to the Frisco Family Services Center. The STARS then united with Cornerstone Community Church for the Centennial Mitzvah Day project and collected hundreds of clothing items for the Frisco Resale Store. The students and their families baked homemade treats for the “Hometown Heroes” project and delivered the desserts to the police headquarters. The STARS then traveled to the Frisco Cares Clinic, which provides medical care to those who cannot afford it, and planted beautiful flowers in hand-painted pots for this cause on Tu B’Shevat. The students were so inspired by the Frisco Cares Clinic that the b’nai mitzvah class took it upon themselves to begin the “Bears 4 Cares” project, in which students collected an amazing array of stuffed animals for the clinic to pass out to its youngest patients. The STARS preparing for the balloon release at the Frisco Cares Clinic Tu B’Shevat Celebration. The inaugural year for the STARS ended by touching so many lives. Each class adopted a cause and donated the year’s tzedakah money to making the world a better place donating hundreds of dollars to benefit such causes as Operation Kindness, Race for the Cure and the Frisco Cares Clinic. 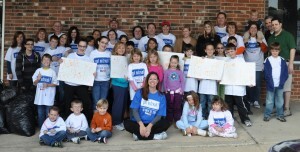 For more information on Shir Tikvah of Frisco and the STARS program, visit their website at www.shirtikvahfrisco.org. Rose Biderman tells us that the Installation of the 2012-2013 officers and chair persons of Herzl Hadassah will take place at 10 a.m. Monday, June 4, at the conference room at the Aaron Family Jewish Community Center, 7900 Northaven Road. Installing officer will be the immediate past chapter president Barbara Moses. Grocery script and greeting cards will be available for purchase, and plans will be announced for the coming chapter year. After a two-month summer hiatus, the next chapter meeting will be on Sept. 10. All members and guests are welcome to this closing meeting. Coffee and cake will be served. Dallas filmmaker Allen Mondell’s latest project “Waging Peace: The Peace Corps Experience” will have its world premiere at 6:15 p.m. Thursday, June 21, at the James E Collins Center Crum Auditorium on the campus of SMU, 3150 Binkley Ave. In 1961, President John F. Kennedy asked a generation of Americans to volunteer and make a difference on a global scale. Since then, more than 200,000 volunteers have answered his call. “Waging Peace” weaves the personal letters, journals, emails and blogs written by Peace Corps volunteers with profiles of four returned volunteers showing the enduring impact of these experiences on their own lives and the lives of others. The evening will begin with a wine, cheese and dessert reception. The screening will begin at 7 p.m. and will be followed by a panel discussion. The evening is co-presented by The Sixth Floor Museum at Dealy Plaza, The North Texas Peace Corps Association and SMU’s Office of the Provost. Tickets are $30 each and can be purchased at http://wagingpeacefilm-es2.eventbrite.com/?srnk=2, or by sending a check to Media Projects, Inc., 5215 Homer St., Dallas, TX 75206. For information contact Mondell at mail@mediaprojects.org, 214-826-3863 or visit www.mediaprojects.org. 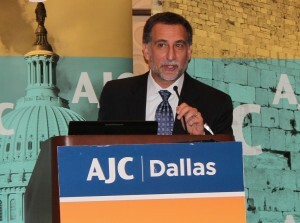 Mondell is well-known to the Dallas Jewish community. He has worked in films and television as a writer, producer and director for 40 years. He began his career as a newspaper reporter in Baltimore in the mid-1960s and went to work in 1968 for WJZ-TV in Baltimore, first as a writer for a magazine program and then as a writer/director of documentary films about urban and social issues. Together, Cynthia and Allen have been making award-winning docudramas and documentary films and videos for over 30 years. 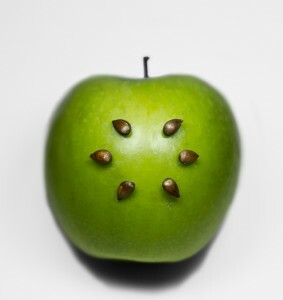 Their work explores a wide range of subjects but always with the goal of personalizing often complex social problems. In the last of your 13-part series, you said Jews believe in a time of the revival of the dead. Is this the same concept as reincarnation? As a Reform Jew, I was always taught Jews don’t believe in reincarnation. What is your viewpoint? Although reincarnation is a related topic to the concept of revival of the dead, it is an independent subject. The common denominator is that both are predicated upon the belief that the core of our existence is an eternal soul. The principle of the resurrection of the dead references a future “time zone,” after the Messianic period, when the world and universe will transform to a different state of being and all righteous individuals will be brought back to the world to a state of eternal life. Reincarnation, on the other hand, deals with the world we live in and the return of a soul back to this world. It is a common misconception that reincarnation is foreign to Jewish thinking. It is a widespread feeling that this doctrine is associated with Eastern religions. Many people are surprised to learn that Judaism actually affirms belief in reincarnation, whereby the soul returns to the world to live a new life. Many of the basic concepts we discussed in our series on the 13 principles of Jewish belief, such as the eternity of the soul, Divine reward and punishment and the future resurrection of the dead are intertwined in the belief in reincarnation. Although the written Torah does not explicitly elucidate this belief, according to the Zohar and other Kabbalistic writings, many sections of the Torah hint to, or are based on, the concept of reincarnation. To focus on just one example, consider the mitzah of “yibum” (levirate marriage) in Deuteronomy 25:5-6, in which a brother marries the widow of his deceased brother and the first-born son shall bear the name of the deceased brother, that his name not be forgotten. The Zohar and other Kabbalistic sources explain this is based upon the concept of reincarnation: The baby is a reincarnation of the deceased brother. One more example punctuates the underlying concept of reincarnation. One classical commentary explains the entire book of Jonah, besides the factual account of what transpired, to also be an allegory. Jonah (the soul) is charged with a mission to fulfill in the world; perfecting itself. The soul (neshama) boards a “ship” to journey through this world: namely, the body. But the person tries to flee from God and avoid fulfilling its charge. Eventually, the individual is “swallowed up by the whale,” meaning it departs from this world, leaving the task unfinished. God’s desire is to endow each individual with the ultimate possible goodness and bliss. For the person to be a recipient for that closeness and reward, he or she needed to have accomplished their purpose in the world. If they did not do so, God, out of kindness and love, created the possibility to the person to make up those areas he or she are lacking in by a second chance on life. This puts a very different perspective on many of life occurrences, including tragic events. The Kabbalistic sages have often explained the tragic death of an infant, for example, that they were the reincarnation of a great righteous individual who only needed to live a short time to perfect some aspect of their persona. The parents will be reunited with that baby in the next world, and will be pleasantly surprised to find they are considered the parents of one of the world’s greatest personalities. Many leading sages have taught that Down syndrome children possess the world’s highest, most spiritual souls who were brought back without they, themselves being tested, but to perfect some small area of their soul and to give the world a chance for redemption through chesed, acts of loving kindness to that individual. The renowned leader in Israel known as the “Chazon Ish” of the past century was well known to stand fully before a Down syndrome child the same way he would stand before a great Torah scholar, for the above reason. The concept of reincarnation, although not included in the 13 principles, is, nonetheless, an important belief of Judaism. Rabbi Yerachniel D. Fried, noted scholar and author of numerous works on Jewish law, philosophy and Talmud, is founder and dean of DATA, the Dallas Kollel, Questions can be sent to him at yfried@sbcglobal.net. Two more of the good ones are gone. On a single, beautiful May day, I attended the funerals of both Nathan Kaplan and Shirley Fisher. Shirley, Hebrew teacher extraordinaire, beloved by generations of Temple Emanu-El students of all ages, was my senior by a decade. But Nathan, the long-time chaplain at Golden Acres when it was Dallas’s home for Jewish aged, had only a single year on me. I should have had a premonition of bad things to come when I returned recently to suburban Chicago, where I’d lived for a long time and made many friends before “migrating” to Texas. But I’ve been here for more than 30 years now, so there aren’t many of those old friends left. A few had retired to warm climes like Florida and Arizona, and I’ve kept in touch with them. And I would see the others when I visited my old stomping grounds every year or two. But the number of “others” has been steadily diminishing, and this time, there were just five left for me to see. And this is what I saw. The first has lost virtually all her memory. When I picked her up to go out for dinner, she put on an old leather jacket; it no longer fit and was so worn at the collar and cuffs that I knew she would never have worn it in public if she realized how it looked. But she didn’t. At the local Thai restaurant, the one we’d always enjoyed together, she glanced at the menu, then asked me what she wanted to eat. I took the second one to breakfast. She greeted me at her door, pale and frail and tethered to an oxygen tank. She is housebound and basically alone; her children and grandchildren come when and as they can, but they have their own lives in California and Colorado and New York. The third asked me to visit her at home, since she has severe heart problems and no energy to go anywhere. The fourth was hale and hearty until the morning of the day when I was to spend a few hours with her — a ladies’ lunch at an old favorite tearoom — when she fell and broke her collarbone. The fifth joined me at the restaurant where I can still get my favorite sautéed lake perch. She is the only healthy one left. She is also the only one younger than I. When I came home after all those visits, I cried hard. Then came the two funerals, and I cried even harder. And then I had to ask myself the hardest question: Who was I crying for? The good ones now gone? The old friends now truly old? Or — most likely — for my own vanished self? So I sat down and rewrote my will, which I hadn’t looked at since I took my first flight back to Chicago after moving to Dallas. “I won’t get on a plane without one,” I remember saying then. That was 1981. Since that time, I’ve surely flown more than 100 times, my children have married, and I now have five grandchildren and a great-grandchild! For the rest of the “stuff,” I’m providing a good guidebook, “Don’t Call the Thrift Shop” by Susannah Ryder, which will help them make reasonable decisions and dispositions. And I am consoled in knowing that Nathan and Shirley were very good company for each other as they entered Olam Haba together. It is almost time for camp, and that means I need to start practicing the guitar again to lead camp singing. When I ask staff and campers about what makes camp “Jewish,” the first answer is always the songs. A singing camp is a camp with ruach/spirit. We learn so much from the songs we sing and have fun doing it. At Camp Chai, we even give out a CD of our favorite songs before camp begins — it’s called “Carpool Judaism.” If you are singing the songs, you are making the words and the lessons part of your life. This song is one of many with the words from Pirke Avot 1:14. The song helps us understand the meaning of Hillel’s word. We begin by taking each part alone and ask why this question is asked. If I am not for myself, who will be for me? What does it mean to take care of yourself first? Why is this the first message given? If I am only for myself, what am I? What is our responsibility for others? Why is it important to care for others? If not now, when? Why do we put things off for another day? It is important to act today for ourselves and for others. Last question: Why did Hillel put these three questions together? Hillel was a Rabbi and he taught us what to do. The first part of his lesson said: you must be true to you. You have to like yourself if you expect that others should. Having self respect is something special, something good. Myself is something special it’s the place I have to start. But Hillel said we must make room for others in our heart. Love yourself but care and share; don’t lock the others out. Caring for yourself and others is what life’s all about. Today becomes last week and then along, long time ago. Hillel said: Do what you must; act now, today, don’t wait! Decide what is important, do it now, it’s not too late. Laura Seymour is director of camping and youth services at the Aaron Family Jewish Community Center. We’re coming to an interesting time of the year both in the secular and Hebrew calendars. On the secular side, we’ve just passed Memorial Day, the non-solstice launch of summer. The only holiday to break up the next 10 weeks or so between now and Labor Day (and the start of school, end of summer vacation and so on) is July 4. Now, if we glance at the Hebrew calendar, we see that we’ve just received the Ten Commandments (commemorated through the Feast of Shavuot), and other than the Fast of 17 Tammuz (on July 8) and Tisa B’Av (July 28-29), there really are no major holidays until we reach the High Holidays (this year starting on the sunset of Sept. 16). I find it interesting that, as we experience a hiatus of scheduling that seems to come with the fall, we also experience a hiatus of Jewish holidays. But with or without Jewish or secular events, here’s hoping your upcoming summer is filled with a lot of relaxation, family and friends (and a somewhat low air-conditioning bill). But we aren’t so far away from many graduations that we can’t celebrate one or two of them in these pages. Donna Chicotsky writes that she and her husband, Robert Chicotsky, celebrated their son Brandon’s graduation from New York University, where he received his master’s degree in management. He also received an Academic Excellency Award for a No. 1 rank in his graduating class. Brandon is also set up with a job — he is now business strategist at Link Coworking, a membership club bringing together people who need an interactive space in which to conduct their business. Many congratulations, Brandon, and may you experience much luck and success throughout your life and business career. We recently heard from Corrine Jacobson — she’s not the one graduating, but her granddaughter, Kasey Schneider, is. Kasey recently graduated from J.J. Pearce High School in Richardson and will attend the University of Arizona in the fall. Corrine said she had a great weekend in Dallas, celebrating her granddaughter’s accomplishments. A large “mazel tov” is also sent to the Dallas side, to Kasey Schneider — we wish her very well as she enters college. Joe, who just moved with his lovely wife to the Vantage in Fort Worth (it was mentioned in this column last week), was asked by his hometown newspaper, the Elmer Times of New Jersey, to move on to the next chapter of his life. In his next installment, his writings will cover the time during which he lived and worked in Taiwan as an avionics engineering advisor to quasi-government agency Aero Industry Development Corp.
I’ve had a chance to glance at the first chapter, in which he details the political situation in Taiwan during the late 1980s (during which Joe worked there). At that time, he noted, it was common for members of the Taiwanese legislature to indulge in fist fights and destroy microphones in the chamber. At any rate, it’s good to see that Joe’s stories are sparking interest and that he’s being asked to supply more to the Elmer Times readers. You can participate in the next Sylvia Wolens Daytimers event at Beth-El Congregation: the organization’s annual movie and ice cream social. The movie shown will be “Second Hand Lions,” a terrific coming-of-age film with Haley Joe Osment as a young boy spending a summer with his eccentric and rich Texas uncles (portrayed by Robert Duvall and Michael Caine). The cost for this is $5 and includes the film plus all the popcorn and ice cream you can eat — a pretty good deal, actually. Fat-free, lactose-free and sugar-free ice cream can be ordered as well, just let Barbara Rubin or Hugh Lamensdorf know when you call. And, if you want to make reservations, you can call Barbara (817-927-2736) or Hugh (817-738-1428) or log onto www.bethelfw.org/donations to reserve for yourself. As always, the event exists thanks to financial support from the Jewish Federation of Fort Worth and Tarrant County. Let us know. If you’re going somewhere fun, or simply hanging out in your backyard, but are throwing a whale of a party, send us pictures (don’t forget to identify who everyone is). My email address is the same — awsorter@yahoo.com. Israel in 2012 looks very similar to Israel before the Six-Day War in 1967, with one big exception, according to Bret Stephens, deputy editor of The Wall Street Journal, who spoke at the American Jewish Committee Dallas Chapter’s annual meeting last Thursday night. Gary Eisenstat was installed as AJC president during the meeting, which took place at the Communities Foundation of Texas building in Dallas. Eisenstat succeeds Scott Miller, who handed over the gavel after two years as president. Stephens, who writes the WSJ’s Global View column, said the United States is a key supporter of Israel. “There’s no state in the region better deserving of the support of someone who describes one’s self as liberal,” said Stephens, who implied several times during his talk that he has conservative views. “There are no gay rights in Palestine…There are no women’s rights in Saudi Arabia…Journalists are being jailed in Turkey. But, he said, he couldn’t say the same thing about U.S. support of Israel in May 1967. At that time, Stephens said, Egyptian President Gamal Nasser expelled all Israelis from the Sinai Peninsula and established a unilateral arms embargo on Israel. “Now is the time to undo the shame of 1948,” Stephens quoted Nasser as saying. Stephens decried the results of meetings between the United States, other counties and Iran last Wednesday and Thursday, during which they simply decided to meet again in June in Moscow. “What Iran wants is delay,” Stephens said. “When it comes to negotiation, it will continue to stall and delay until it can build a nuclear program. They’re going inch by inch, yard by yard. Stephens also mentioned threats such as the Islamist takeover of Tunisia and the possibility of the Muslim Brotherhood taking the Egyptian presidency. Before Stephens’ talk, Eisenstat began his presidency by complimenting his predecessor. “Scott (Miller) laid such a great foundation,” he said. “We will continue our advocacy, especially in energy security and energy independence, and in terms of the Iranian weapons situation. We will advocate for a two-state solution that is directly negotiated, and we will continue our international perspectives series. Miller will serve as immediate past president. Other officers are Ladd Hirsch, vice president of domestic affairs; Margot Lebenberg Carter and Ray Termini, co-vice presidents for international affairs; Doug Baer, vice president of leadership development; Seth Kaplan and Mimi Johnson, co-vice presidents of development; and Jolie Newman, vice president of communications. New board members are Ken Bendalin, Bill Davidoff, Cynthia Feldman, Adam Lampert Leslie Lucks, Benton Middleman, Jon Morgan and Janice Sweet. Returning board members are Sandy Donsky, Jeff Genecov, Joanna Greenstone, Lizzy Greif, Monte Hurst, Susan Kramer, Matthew Ladin, Randy Lieberman, Fraser Marcus, Michael Meyers, Bryan Rigg, Brett Stanley, Michael Weinman, Harriet Whiting and Harrison Yoss. It will be a big celebration this weekend for Stanley and Carolyn Kaye. On Sunday May 27, they will celebrate their 50th wedding anniversary with family and friends. 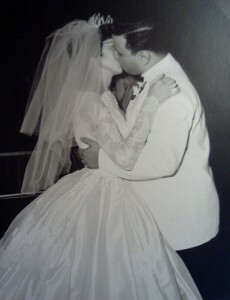 Stanley and Carolyn Kaye at their wedding day 50 years ago. Their children Stephen, Michael and Becky are throwing them a swimming and dinner party at their niece and nephew’s (Liz and Jeff Rudick) house in Dallas. What a special occasion for a special couple. Mazel Tov! One of the most impactful family programs benefitting the North Texas community for the past six years is the Gladys Golman/Faye Dallen Special Needs Fund and the Special Needs Partnership of the Jewish Family Service. 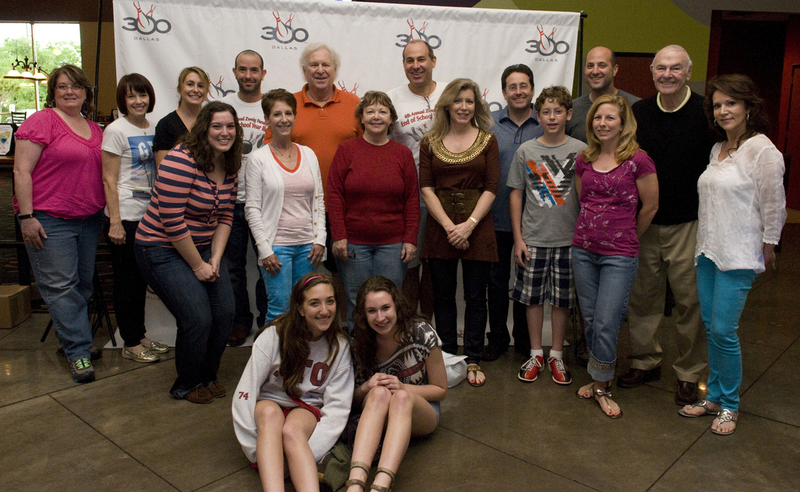 More than 200 bowlers participated in the annual Zweig Family End of School Year Bash benefit event April 15 at 300 Dallas in Addison. “The turnout was amazing and everyone had a fantastic time bowling, competing, winning and donating to a great cause,” said Golman-Dallen co-founder, Louis Zweig. This year’s tournament and silent auction raised more than $60,000 in funds that will help finance JFS-based resources, start-up programs for schools, educational seminars and training days to further develop classroom and teacher strategies for learning differences such as autism/Asperger’s syndrome, ADD/ADHD, dyslexia and other learning differences and neurological disorders. In its sixth year, the fund’s mission is “to provide financial and educational resources to support Dallas area preschools, day schools and religious schools and their teaching staffs so that they and their students with learning differences can achieve Jewish educational goals.” The Fund, a 501 (c)(3) organization housed within the Dallas Jewish Community Foundation, will have granted nearly $300,000 to Dallas-area institutions by Aug 1. Accolades to St. Marks School of Texas sophomore Max Wolens, son of Laura Miller and Steve Wolens who was recently named one of the 2012 Texas Imagemakers according to the Association of Texas Photography Instructors. The 2012 Texas Imagemakers are the top 10 students in the state based on awards received in state and national photo contests during the school year. Max joins fellow St. Marks students junior Michael Gilliland and sophomore Riley Graham. All three boys are students of St. Mark’s photography instructor Scott Hunt, whose 14-year tenure at the school has produced a steady stream of state, local, national and international photography awards for the school. All three Texas Imagemakers from St. Mark’s received numerous photography awards this past school year. Wolens, 16, won Adobe’s inaugural 2011 International Teen Photo contest in the 13-16 division; he was also a finalist in Photographer’s Forum magazine’s 2012 College and High School Photography Contest. He won eight ATPI awards, including first place in the advanced open category; three awards in the Fort Worth Country Day School’s Black & White Images Exhibition; and five awards in the annual High School Photography Shoot Out at Texas A&M-Commerce, including first place for photojournalism. Wolens and Graham are among a group of St. Mark’s students who will travel to Cambodia and Laos later this month on a 12-day photography shoot with Hunt, who has led past international trips. Raskin was also recently elected to Mortgage Action Alliance Steering Committee for Mortgage Bankers Association in Washington, and he serves on Board for Texas Mortgage Bankers Association and the Dallas Mortgage Bankers Association. If you are unemployed, underemployed or looking to change jobs, JFS Career and Employment Services has two free programs in June that might help you on your journey. A Linkedin four-hour boot camp will take place 1-5 p.m. Thursday, June 7, at Temple Shalom, 6930 Alpha Road in Dallas. Dennis O’Hagan, one of the top 5 LinkedIn networkers in Texas, and Terry Sullivan, a marketing leader with more than 20 years success in creating and implementing fresh marketing solutions, will explain how to attain your employment goals by learning to use LinkedIn’s most profitable features. There is no reserved seating and seating is limited. Please arrive at least 30 minutes before the seminar start time. E-mail Mitch Jacobs at mjacobs@jfsdallas.org with your intent to attend. Parties associated with this seminar are not employed by LinkedIn or its affiliates. Five days later, JFS will host “The 4 P’s of Interviewing Success – Stand out from the crowd and win job offers” from 7-8:30 p.m. Tuesday, June 12, at the agency, 5402 Arapaho Road in Dallas. Career coach Mina Brown, co-author of “Be Sharp: Tell Me About Yourself,” will discuss essential ingredients to stand out from other candidates; how interviewing is like dating; what you need to do before the interview; a formula for answering a behavioral interview question; how to handle tricky, difficult, or negative questions; what kind of questions to ask (and what not to); and how to talk about money. No RSVP is required. Seating is limited to the first 50 attendees. Try and arrive 30 minutes prior to the event. For information, contact Camille Kramer at ckramer@JFSdallas.org or 972-437-9950. Garry Kahalnik has joined Karen Garfield and her team in the local office of Israel Bonds. Garry will be the Dallas field representative … Akiba Academy’s new state-of-the-art website is up and running. 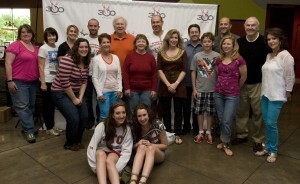 Check it out at akibaacademy.org … The JCC has been selected as a finalist for best kids’ swimming classes by D Magazine. You can vote for the J at www.dmagazine.com/bestofbigd2012. Voting opened May 14 and continues through Sunday, May 27. Winners will be announced in August. The cycle of the Jewish year always keeps us going ’round and ’round. It is so wonderful to have special markers for so many days of the year, yet so often there are holidays that we do not know enough about. At the J, we always hear, “It must be some holiday if the J is closed.” Yes, some holiday is coming up, and it is an important one. Shavuot is one of the “three biggies” — the Shalosh Regalim. This holiday is one of the pilgrimage holidays (regal=feet) when Jews used to go to the Temple to give sacrifices. We celebrate and remember our agricultural roots with these three holidays. However, today we celebrate Shavuot for the most important reason — it celebrates the moment at Mount Sinai when we were given the Torah. Any time we can celebrate Torah is a wonderful opportunity for our children to learn the importance of learning. Unfortunately, Shavuot does not have much ritual to go along with it. It is a synagogue holiday with special prayers added, and there is the tradition (with a few reasons, of course) of eating dairy food — blintzes have become a favorite for many. But there is one other ritual that is great for older kids especially — tikkun leil shavuot. It is a very magical moment to share with your children and with community. The magic and mystery of Shavuot will belong to our children who experience a long night reading the stories of the Israelites standing at Mount Sinai — it really feels like you are there (especially in Texas when we can get a little thunder and lighting). Will you walk with me again on the cobblestoned, curving streets of the once-Jewish quarter of Krakow, Poland? This stroll took me and my touring companions past the places where famed makeup mavens Helena Rubenstein and Max Factor got their starts, past the places where Billy Wilder and Roman Polanski once lived, past the former factory — renovated three years ago and turned into a museum — of Oskar Schindler, the most unlikely but most effective Righteous Gentile who saved as many Jews as he could from the Nazis’ noxious clutches. In the site of the Krakow ghetto, we saw where 16,000 people had once been crowded into 320 tiny houses. One especially vicious Nazi officer is well remembered as having said that he couldn’t eat lunch before killing two of the Jews there. He did his part since he was a daily partaker of lunch, but only managed to do away with a fraction of the 65,000 who were taken from Krakow to concentration camps beyond, or to Plazow nearby. Rosalie Schiff, one of Schindler’s select few, was once an inmate of the Plazow camp. A long-time Dallas resident, she is among the handful of local survivors still willing and able to give personal testimony to groups at the downtown Dallas Holocaust Museum/Center for Education and Tolerance and elsewhere. Her harrowing story, and that of her late husband, have been told in “William and Rosalie: A Holocaust Testimony,” published almost five years ago. Today, Plazow is pleasant grassy place. A park, almost, since there is almost nothing there but grass. Casual visitors might not guess at its gruesome past life unless they shade their eyes from the sunlight and look directly upward, to the very top of the high hill that crowns it. There stands a monument, a very modern sculpture: five massive, virtually featureless figures with bowed heads. Are they meant to be weeping? I was, when I saw them. I haven’t yet asked Rosalie if she has ever returned to Plazow to see them. But she doesn’t need to see them to weep; memories are cause enough. In Kazimierz, the square where Krakow’s Jews were gathered for their deportation to Plazow and beyond, there is also a sculpture: a stark gathering of empty concrete chairs. And the old Jewish cemetery is still there, now surrounded by a ring of wrought iron menorahs. Outside of Krakow is the massive salt mine where Poles toiled for the hundreds of years when salt, the only way to preserve food, was more precious than gold. Most of what is now dug up and brought to the surface is boxed or bagged for tourists to take home as souvenirs or to cook with. These days, visitors descend into its subterranean depths by elevator, then walk through vast halls decorated with huge figures carved from salt by the men who once labored there: people, animals, saints of the church. Poland is a Catholic country, and Krakow has 200 Catholic churches today. No synagogues. Poland is known for its amber (we can identify Jewish actress Ellen Burstyn’s point of family origin by her last name, which is the Polish word for amber). Every shop sells amber jewelry. Crosses of every size, shade and design are offered. But no Jewish stars. In the bowels of the salt mine, just as in any self-respecting tourist attraction, is a gift shop and there, across from the salt display, I asked the amber saleswoman if she had any six-pointed stars. Jewish stars. No, she said quickly. Then: “Wait!” She ducked down below the counter and surfaced with a small bowl — the kind of container that many women toss useless small items into, like odd buttons, a broken chain, a pin with an untrustworthy clasp. She dug through its contents and came up with a pair of small silver stars centered with amber. I have not been allowed to put weight on my lobes since having a tumor removed from behind my right ear more then 40 years ago, so I do not wear earrings. But of course I “liberated” these, my best souvenir, finer by far than any salt. A jeweler friend is making them into a pendant; when I wear it, I hope you’ll notice and comment. I think I understand him now. I grew up with little knowledge of the holiday of Shavuot, and my children are learning songs for it in religious school. Is it a minor holiday? Could you please fill me in as to its significance? This coming Saturday night, May 26, Jews around the world will celebrate the holiday of Shavuot, the 3,324th anniversary of our receiving the Torah at Mount Sinai. This is the day that the Jews received the 10 Commandments from God and accepted upon themselves the entirety of Torah, including a lifetime of study and observance of the 613 mitzvos. Throughout the world, many Jews observe an “all-nighter” study session, spent engrossed in intensive Torah study until the morning. This is observed in many synagogues in Dallas-Fort Worth as well. Shavuot is observed for two days in the Diaspora; one day in Israel. Its laws are similar to that of Shabbos, with certain exceptions. There is a custom to eat dairy at one of the Shavuot meals. One of the reasons for this custom is that Torah is compared to milk and honey, which is the epitome of sweetness. When the Jews received the Torah, God revealed that Torah is the greatest enjoyment and ecstasy that is available in this world. It is a piece of the next world available to taste in this world; a transcendental, eternal pleasure that dwarfs all the transient, physical pleasures the world has to offer. The Torah describes the Jews at Sinai thus, “ … and the nation encamped across from the mountain” (Exodus 19:2). The encampment adjacent to the mountain is expressed in the singular, (vayichan), not in the plural tense (ve’yachanu), which is the incorrect tense for a group of people. Why did the Torah use the incorrect tense? The sages explain that something very significant is being hinted to by that subtle change of referring to the Jewish people in singular tense. This was the only time in Jewish history that the entire nation was together with no dispute, like one person with one heart. Why was this so? If we are so prone to divisions and arguments how were we able to be completely and totally united when receiving the Torah? The Torah is the great uniter of our people. Every Jewish soul is connected to a letter, line or crown of a letter of the Torah. Only a Torah that is complete, with no letters missing, is kosher. Only a totally united Jewish people is complete, with all Jews connecting the lines, letters and crowns of their souls into one huge Torah scroll that is the Jewish nation. The Jews understood at Sinai that without complete participation, the Torah will not be brought down from above and be presented to them, because any Jewish soul that would not participate would constitute an incomplete Torah scroll. The Jews, therefore, went beyond all divisions, accepting the yoke of Torah as one soul, with all Jewish hearts beating in unison in their acceptance of Torah. This is a very profound message for us today. Shavuot is a time to join a study session, a class or program. It’s not just for that night, but an acceptance to increase our Torah study and Jewish literacy throughout the year, much as the Jews accepted upon themselves the yoke of Torah for all time more than 3,300 years ago.